The story of Pokémon GO in New Bedford could not be told without Michelle Keith, who has become an unofficial spokesperson for the game locally. Keith’s introduction to Pokémon came through the inquiry: how can this game be used to motivate people to vote? Inspired by the crowds of people playing while she and her sons traveled through Europe, she made a commitment to “get to level 40 by election day.” Upon achieving this goal, however, she came to a new understanding: rather than using the game as a political tool (especially a partisan one), she could use the game to bring people together. Geographically, Keith experimented with Pokémon GO as a way to bring people into the downtown area of New Bedford. Her efforts align with city rebranding and even redevelopment. A cross-media strategy is at the heart of Keith’s organizing, including through social media, the distribution of physical flyers, video invitations to old and new players, and the creation of Pokémon GO pins and t-shirts, she has engaged with several local groups in the New Bedford community. Directly petitioning the company behind Pokémon GO is also part of Keith’s organizing. Her goal is to make New Bedford a more prominent destination for players. 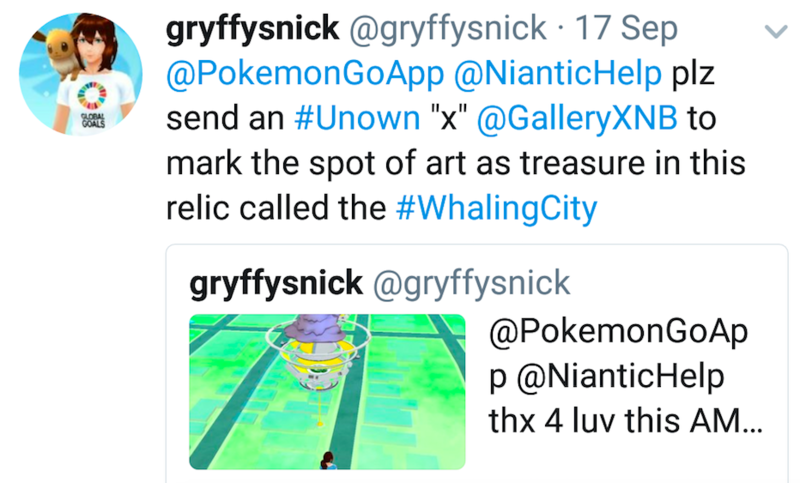 Michelle’s ongoing efforts to enhance the Pokémon GO experience in New Bedford. The game continues to gain momentum in New Bedford. Under Keith’s leadership, the town explores different ways to unite residents. 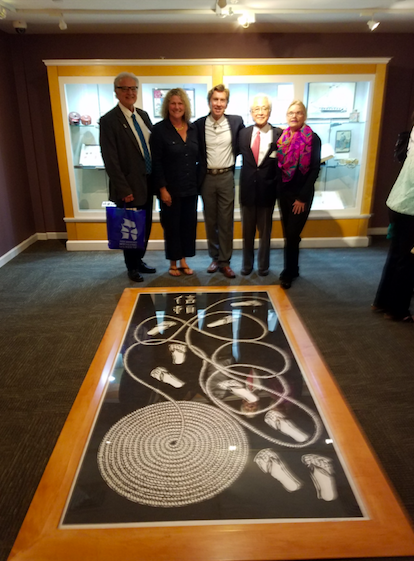 Pictured here, Keith is at the Manjiro Exhibit Opening at the New Bedford Whaling Museum, just one of the locations she profiles and organizations she is recruiting for more playful engagement. Michelle at the New Beford Whaling Museum working hard to build community partnerships. For more in Keith’s own voice, see her article on the game’s potential for increasing physical health, building community, and establishing grit.